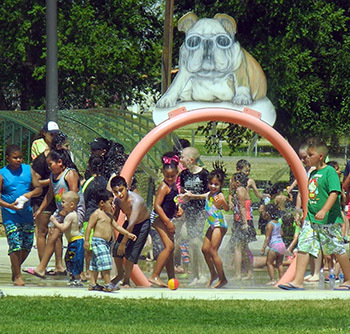 Above, local children keep cool at the Splash Pad at the Martin Luther King Jr. Recreation Complex Friday afternoon during the annual School’s Out Summer Splash event, sponsored by the Changing Lives Coalition. Below, students brave the cold blast of water emanating from a Cottonwood Volunteer Fire Department engine. 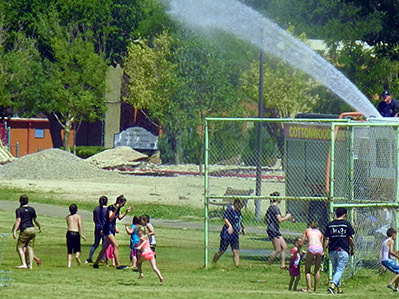 The fire hose and other water features provided welcome respite from temperatures that climbed into the 100s.